High Studio Gallery, May 10 through July 25th, 2008. Reception with the artists on May 10th, 6-8 pm. Although it is mainly a figurative painting (33 figures in all) which includes Papa Zackee and friends in “Feed my Sheep“, it will get featured at the Landscape art show in Moorpark, CA. This painting has been in progress for a while and was I was shown working on it last summer in Artist Profile in the Ventura County Star. Along with this newly finished painting, I will be showing 14 other landscapes and seascapes from around southern California. I am very excited to officially unveil this new work after working for so many months in development. Please join me along with 6 other artists at the opening reception on May 10th from 6-8 pm. 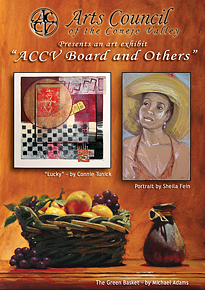 I have 4 pieces in the ARTS COUNCIL OF THE CONEJO VALLEY presents the visual art show BOARD AND OTHERS, June 1 through June 30. The public is invited to the Reception, Saturday, June 21 from 4:00pm to 6:00pm, Galleria, Hillcrest Center for the Arts, 403 W. Hillcrest Drive, Thousand Oaks. Gallery hours 9:00am to 5:00pm weekdays and by appointment. Information (805) 381-2747. 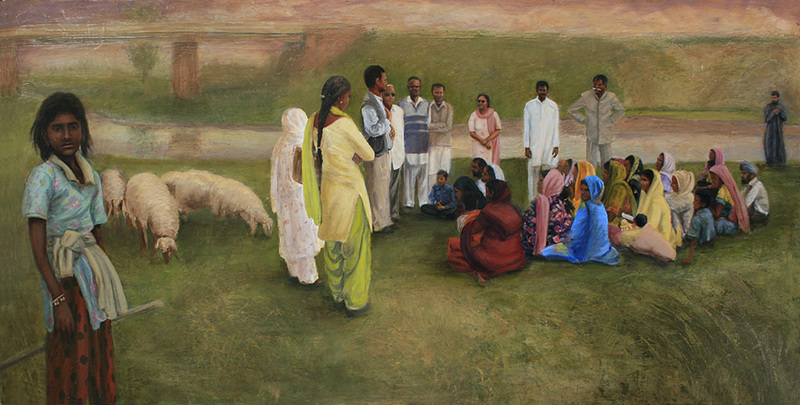 An agricultural art exhibit of painting, drawing, photography, sculpture, mixed media. High Studio Gallery, Nov 8-Dec 31, 2008. Reception with the artists on November 8th, 6-8 pm.